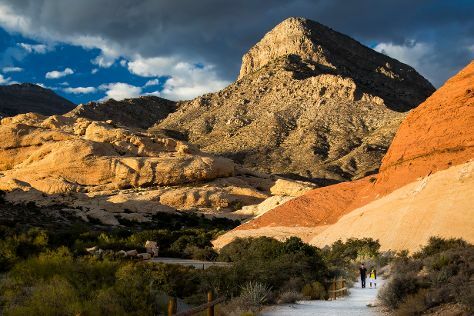 Kick off your visit on the 2nd (Tue): get the adrenaline pumping with an extreme tour and then explore the stunning scenery at Red Rock Canyon National Conservation Area. Keep things going the next day: see human ingenuity at work at Hoover Dam. To see where to stay, more things to do, other places to visit, and other tourist information, refer to the Las Vegas trip app . If you are flying in from Dominican Republic, the closest major airports are McCarran International Airport and Laughlin Bullhead International Airport. Expect a daytime high around 47°C in July, and nighttime lows around 32°C. On the 3rd (Wed), wrap the sightseeing up by early afternoon so you can travel to Grand Canyon National Park. Start off your visit on the 4th (Thu): explore the stunning scenery at Yavapai Point, see the interesting displays at Yavapai Geology Museum, then take in breathtaking views at Grand Canyon South Rim, and finally tour the pleasant surroundings at South Kaibab Trail. Keep things going the next day: trek along Bright Angel Trail. For reviews, traveler tips, other places to visit, and more tourist information, read Grand Canyon National Park road trip planner. Getting from Las Vegas to Grand Canyon National Park by combination of car and flight takes about 4.5 hours. Other options: drive; or take a shuttle. The time zone difference when traveling from Las Vegas to Grand Canyon National Park is 1 hour. In July, Grand Canyon National Park is cooler than Las Vegas - with highs of 34°C and lows of 13°C. Wrap up your sightseeing on the 5th (Fri) early enough to drive to Los Angeles. 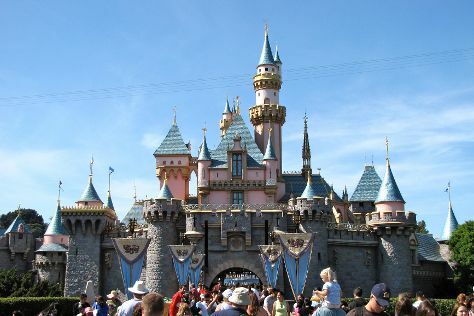 Kids will appreciate attractions like Disneyland Park and Santa Monica Pier. Pack the 6th (Sat) with family-friendly diversions at Universal Studios Hollywood. There's still lots to do: stroll through Venice Beach and Boardwalk and appreciate the extensive heritage of Hollywood Walk of Fame. To find photos, traveler tips, ratings, and more tourist information, use the Los Angeles road trip planning app . Traveling by car from Grand Canyon National Park to Los Angeles takes 7.5 hours. Alternatively, you can do a combination of bus and flight; or do a combination of shuttle and flight. The time zone difference moving from Mountain Standard Time (MST) to Pacific Standard Time (PST) is minus 1 hour. Plan for somewhat warmer nights when traveling from Grand Canyon National Park in July since evenings lows in Los Angeles dip to 22°C. Finish your sightseeing early on the 8th (Mon) to allow enough time to travel to Yosemite National Park. 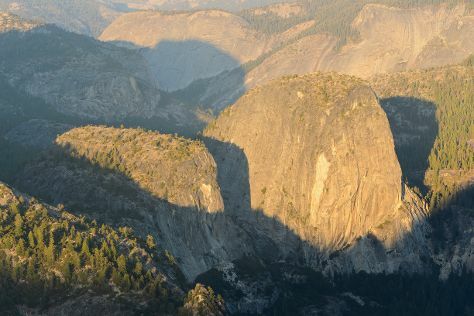 Start off your visit on the 9th (Tue): take in the dramatic scenery at Yosemite Falls, admire the sheer force of Vernal Fall, then explore the striking landscape at Sentinel Dome, and finally explore the striking landscape at Glacier Point. To find more things to do, ratings, traveler tips, and tourist information, go to the Yosemite National Park trip site . Do a combination of flight and car from Los Angeles to Yosemite National Park in 4.5 hours. Alternatively, you can drive; or do a combination of flight and bus. Traveling from Los Angeles in July, plan for much colder nights in Yosemite National Park, with lows around 9°C. Wrap up your sightseeing on the 10th (Wed) early enough to drive to San Francisco. Family-friendly places like Exploratorium and California Academy of Sciences will thrill your kids. Explore San Francisco's surroundings by going to Muir Woods National Monument (in Mill Valley) and Wine Tours & Tastings (in Napa). There's much more to do: head off the coast to Alcatraz Island, take a memorable tour with Tours, admire all the interesting features of Twin Peaks, and examine the collection at Cable Car Museum. To find where to stay, more things to do, photos, and more tourist information, refer to the San Francisco trip itinerary builder website . If you are flying in from Dominican Republic, the closest major airports are San Francisco International Airport, Metropolitan Oakland International Airport and Norman Y. Mineta San Jose International Airport. In July, plan for daily highs up to 26°C, and evening lows to 16°C. Cap off your sightseeing on the 8th (Mon) early enough to go by car to Yosemite National Park.